Color: Light Pink. Material: Paper. The last picture just for your idea not for sales. Each flower length approx. 50 Mulberry Paper Flower Rose White Craft Making Scrapbook Card Wedding 15 mm. Size: 15 mm. Color: White (As picture). Quantity: 50 pcs. -Color appearance may depended on our computer. Wedding Card Artwork Craft DIY. Material : Mulberry Paper. : Flower with Wire Stem length 7.5 - 8 cm (Approx). Size : Flower 6 mm. Color : White. Condition : New (Handmade Products, Each Lot Work pieces and Colors may be differ). Color: White Pink (As picture). Size: 17 mm. Quantity: 50 pcs. -Color appearance may depended on our computer. Material : Mulberry paper. Color : Mixed Pink Tone & White. Quantity : 50 pcs. 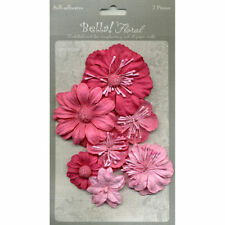 These excellent blooms are top quality and are incredible for card making and scrapbooking ventures. You will receive the item within 1-4 weeks depend on your location. Flowers are Thailand handmade. Material: Paper. Color: Off White. We would love to help as best we can! Color: Turquoise Blue. Material: Paper. Total length approx. All of artificial paper roses are handmade. Mini cute paper flower with nice design. Material : Mulberry paper. Color : Mixed Rose Tone & White. Quantity : 50 pcs. 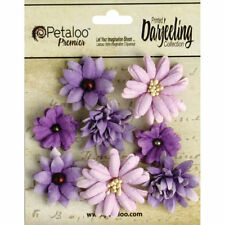 These excellent blooms are top quality and are incredible for card making and scrapbooking ventures. Perfect for such huge numbers of card and art ventures, wedding stationary and welcoming cards! 50 Large Mulberry Paper Rose Purple Violet Scrapbooking Wedding Card 20mm / 0.75". Color: Light Blue & White (As pictures). Quantity: 50 pcs. -Color appearance may depended on our computer. 100 Blossom Flower Mulberry paper Wedding Scrapbooking Card Crafts DIY 1.75cm. Material: Mulberry Paper. Quantity: 50 Flowers mulberry paper. Color: Green Flower (As picture). 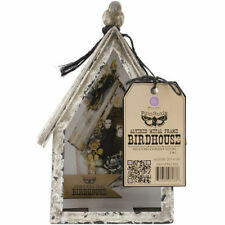 It is durable and attractive because it is handmade and eco-friendly. There are many colors and designs which are special and different from general papers. Anniversary, Housewarming, or all special occasions . 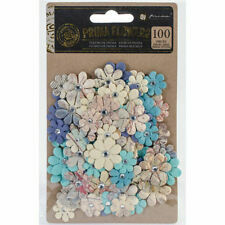 Artificial Mulberry Paper 2 Layer Flower / Wedding / Scrapbooking Card / Crafts / DIY. note : "real color maybe different from the picture a bit ". Color : Mix in 10 color. 100% Handmade. Made in Thailand. 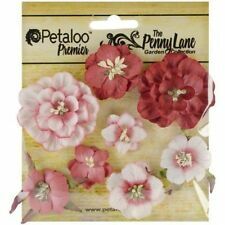 5 of Magnolia Flower Mulberry Paper Scrapbooking Card Crafts Wedding 4-4.5cm. 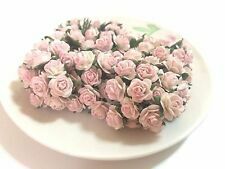 50 Miniature White Rose Bud Mulberry Paper Flowers 4 mm. Wedding Cards Craft DIY. Material : Mulberry Paper. Size : Flower 4 x 7 mm. (0.4 x 0.7 cm.). 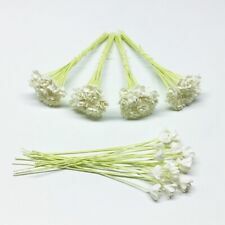 : Flower with Wire Stem length 7 - 8 cm (Approx). Handmade Mulberry Paper Flowers. Flower heads will vary by size, shape and colour, just like a natural flower. Flower Head: 2.5cm. Looking for a specific Colour?. Mixed Pinks, Yellow, White. 25 Flowers. 100 Mini Green Leaves Rose Leaf 13x25mm Scrapbooking Craft DIY Mulberry Paper Wedding Card. Handmade flowers made by beautiful mulberry paper from the north of Thailand. Material : Mulberry paper. This material is perfect for making an impression for the people special to you. MULBERRY PAPER. MULBERRY PAPER FLOWERS. Also colour might varied slightly between batches and photo. (mini, single layer). 100 INDIVIDUAL LIGHT GREEN STEMS (Approximate). for a wide range of colours and different type of flowers. 200x Felt Appliques(200±2). Material: Felt. Mixed colors, looks beautiful. Color: Sent randomly (Multiple colors and randomly sent, you may get repeated colors or different colors from the ones shown in the pic. ).